Meet your club’s new best friend—Hudl. But like any friendship, you need to set a foundation. It’ll take some planning, patience and persistence. To help you and your team get to know Hudl, we created ten goals to focus on. Like getting parents on board, and creating highlights to get your team and players noticed. 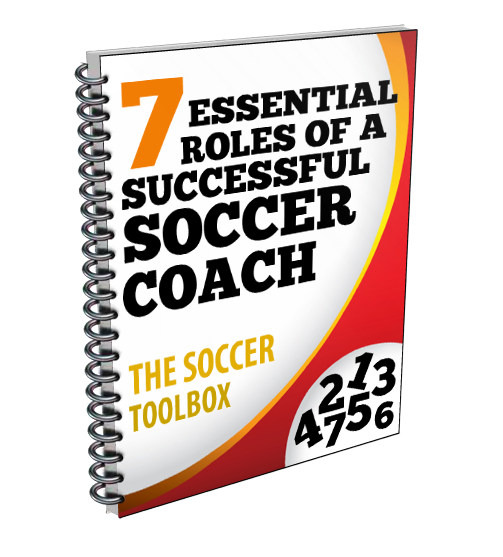 Each goal is paired with a game plan full of tactics you can use to reach that objective. In the end, everyone at your club will be more aligned and ready to get the most out of Hudl’s tools. In other words, that friendship will be rock solid for years to come. Ready to dive in? Keep scrolling to see the first goal. Commitment—/kəˈmɪtmənt/ (noun): the state or quality of being dedicated to a cause, activity, etc. Let’s go ahead and add team to that definition. After all, you’ve made a commitment to your team by signing up for Hudl (high-five). So what’s the driving motivation behind your decision to add Hudl to your team? Maybe you want to use Hudl to find insights into your team’s performance more easily and efficiently. Or you signed up so your athletes have access to tools that allow them to create highlights in seconds, get noticed and have a chance at the next level. Is it because you want to help build your organization’s brand and attract more athletes to your club? If so, you’re on the right track—you’ve already shown that you’re committed to helping your athletes and teams be the best they can be. It’s time to share those motivations with your head coaches and set expectations early. As a 12U team, we want to use Hudl to help athletes learn the game and build a culture of video review early. We’ll hold team film sessions after each tournament and ask athletes to watch on their own at least once a week. We’ll call this is a success when video review becomes part of our weekly routine and athletes consistently do it on their own (through the individual activity tracking feature on Hudl). As a 17U team, we want to use Hudl to give our players the best chance at reaching the next level, while also using it as a promotional tool to attract top talent in the area to our club. We’ll be successful when X% of our athletes are committed to playing college ball, and we see an increase in the amount of players trying out every year. From there, it’s a cascading effect. A committed head coach can set expectations with their assistant, athletes and parents so every single person at the club (regardless of role) knows how and why they need to get the most out of Hudl. But let’s not get too ahead of ourselves. First we’ll need to get your head coaches bought in. Here’s the game plan. Host a kickoff meeting with club directors and head coaches to determine what your expectations are going to be for using Hudl this season. Have a good ol’ brainstorming session and write any and all ideas on a whiteboard or on sticky notes posted to a wall. You could even write up a survey on Google Forms and have this core group vote on what they relate to the most. From there, you can discuss and narrow it down to what motivates you the most. Pro tip: Not all of the teams at your club need to have the same motivations. Like the example above, your 12U team might be using Hudl to improve and learn the game, whereas, your 17U team could be using Hudl to create highlights for recruitment purposes. You’re the 12U team whose Hudl motivations include helping your athletes learn the game, so your rallying cry could be “Focus on the basics.” Before the match, remind everyone to focus on the basics so everything else can fall into place. The next time you review video, don’t let your players dwell on just their shots—remind them to focus on the basics. Learning the game applies to the less flashy parts too, like dribbling and passing. Don’t forget to share the expectations and rallying cry with everyone (assistants, parents, directors, etc.). Create a snazzy PowerPoint presentation, Google document, or host a meeting so you can talk about it in person. Everyone needs to be on the same page for this season to be a success. Continue to Goal #2: Get parents and players on board.